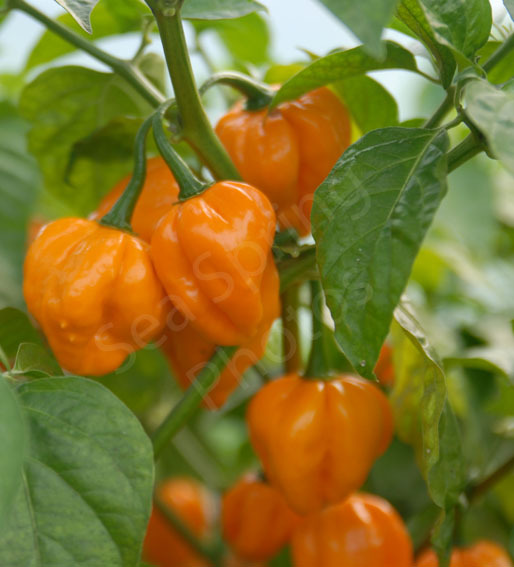 Originally collected from a Jamaican stallholder in London’s Brixton Market, this habanero, averaging about 105,000 SHU, is distinguished by an definite orange aroma. The deeply grooved fruit mature from green to an attractive orange-yellow and grow up to 30–35mm in diameter. The plants branch from the base and grow into tall, wide bushes that need support. A genuine British Caribbean chilli.